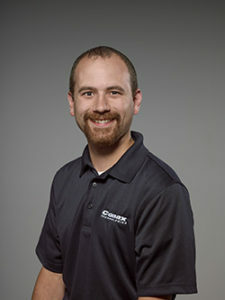 Conax would like to welcome Chris Jank as its newest Sales Application Engineer. He’ll be providing customized solutions to customers’ challenges in the Western region of the United States. A mechanical engineering graduate from the University at Buffalo, Chris previously worked at a leading global sensor company where he held positions in application engineering, field sales engineering, and territory management. He was introduced to many industries including industrial, power generation, aerospace and defense, and general testing markets. “These combined roles gave me experience meeting with customers and providing technical and sales support to help solve their unique sensor and product needs—an asset for my role at Conax,” says Chris.